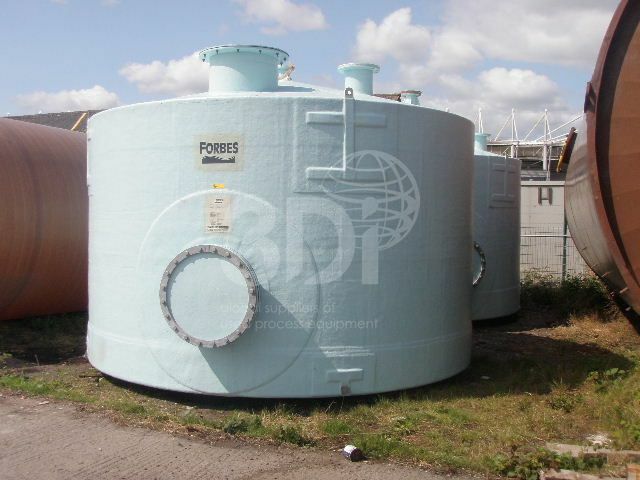 Unused 30,000 Litre GRP Storage Tank, built by Forbes Technologies, 1997. 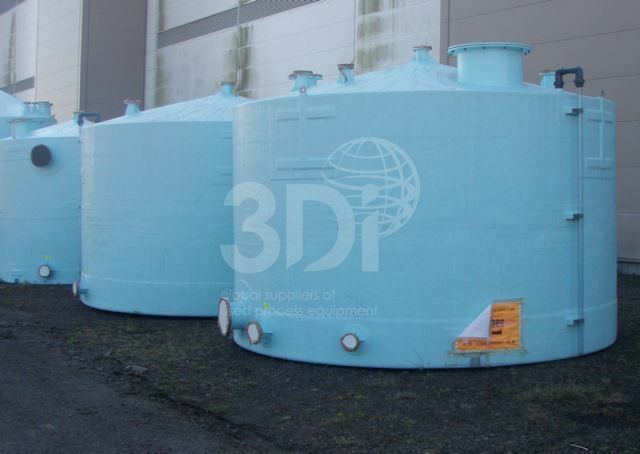 Material of construction: GRP (Crystic 474 Resin). Internal lining: 3mm white celmar. Orientation: vertical, cylindrical, cone top and flat bottom. 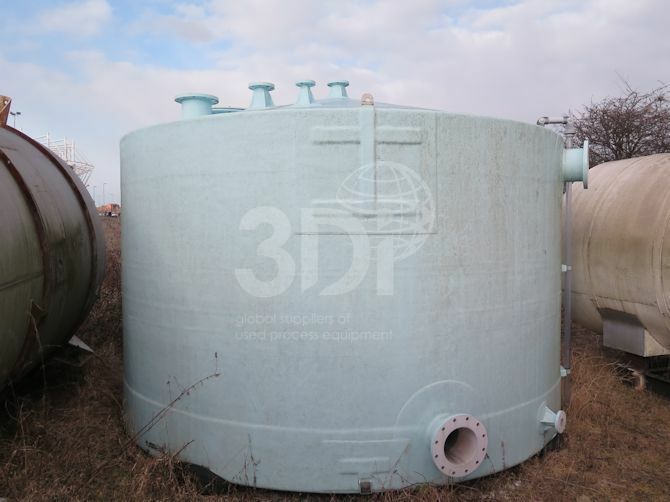 Dimensions: 4000mm dia, 3000mm tall. Specific gravity 1 SG. 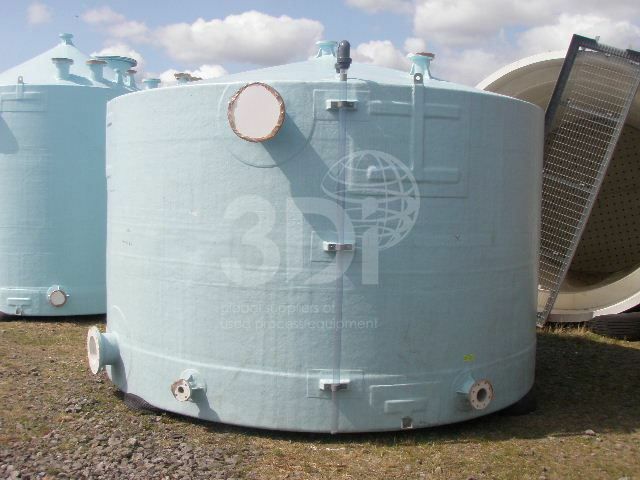 Design code BS4994 1987 Cat 2, design temperature 40degC, design pressure atmospheric.